Shopping on Amazon? 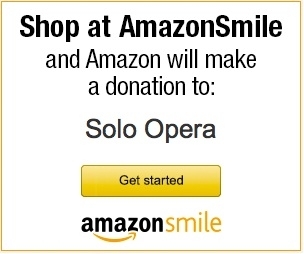 Just click on either of these two links to shop and a percentage of your purchase price will be donated to Solo Opera ! purchases to Solo Opera. If you haven't already done so, please register with eScrip. stores, such as Amazon.com, Williams-Sonoma, and Home Depot, go to the eScript Online Mall. your bill when you dine. We will earn an additional 2.5% in contributions, if you complete the dining surveys.